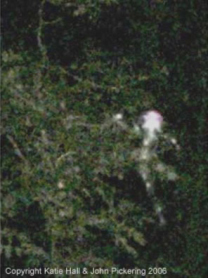 Could strange spheres of light offer proof of the spirit world? 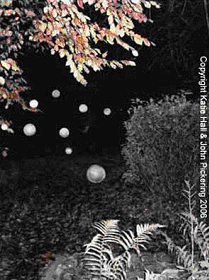 Although remaining sceptical at the possibility of such a conclusion, Heinemann also found that during his numerous dual camera experiments, orbs would often appear, but only randomly in one or the other of the two images simultaneously taken with the two separate cameras. 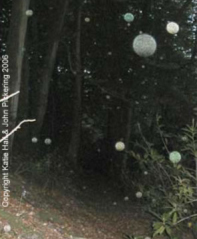 The orbs, he says, literally choose which camera to appear on, or indeed whether to appear at all! Why, you may wonder would an accredited scientist make such outlandish statements which some scientists might dismiss as ‘nonsense’? To help answer this question, Professor William Tiller, a theoretical physicist who spent 35 years researching consciousness and matter at Stanford University in California, reminded us that what we see with our physical eyes comprises less then ten percent of the universe. This is because human vision operates only within a limited range of the electromagnetic spectrum. 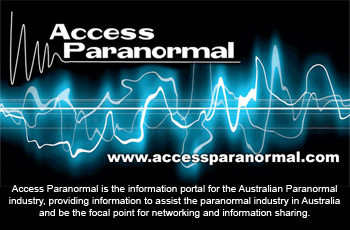 For instance, we cannot see radio waves which carry huge amounts of information – yet we know they exist. Miceal Ledwith, a former Professor of Theology, who for ten years was President of Maynooth College, at the University of Ireland, reminds the sceptics that in 1861 when Dr Ignaz Semmelweis demonstrated that when physicians went from performing autopsies to delivering babies, without washing their hands, there was a high rate of infant mortality. His mainstream colleagues ridiculed him. Yet he had found evidence of what later became known as bacteria. John Pickering, an illustrator and his partner Katie Hall who live in the Lake District agree with Miceal. 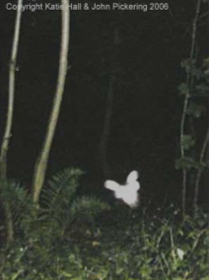 They first saw orbs in their photographs back in 2002 and soon began taking more pictures. Orbs quickly became more than a hobby. The shoot took place at the exact spot where Sarah was last seen, because the medium had suggested that he ‘might pick something up’. 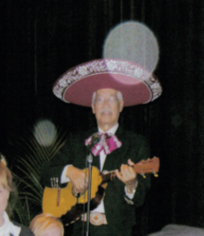 Sure enough when the pictures were developed, a mysterious glowing dot appeared in one of the crucial images. Still intrigued, Anna arranged to photograph Watson again – at the exact spot from where another young child had disappeared, this time in Greece. To her astonishment, the photographs again showed the presence of a blue orb. And when Anna repeated the shoot the next day, in a bid to rule out a trick of the light, she got the same result – only this time it was two orange orbs. Such is the interest in this phenomenon that another conference for scientists and Orb enthusiasts alike is being organised in Glastonbury in the UK from July 11-13th 2008. Details can be found via www.greatmystery.org. Klaus Heinemann PhD and Miceal Ledwith PhD have collaborated on a new book called The Orb Project, featuring hundreds of pictures and their research. Available from Jan 2008 from Simon & Schuster/ Beyond Words Publishing. Photographs 1,2,4 & 6 (in order of use in the article) are by John Pickering and Katie Hall, and 3 & 5 by Dr Klaus Heinemann.